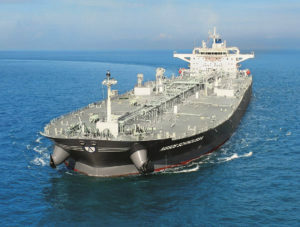 KYKLADES MARITIME CORPORATION, as managers, concluded a shipbuilding contract for the construction of two Suezmax tankers, 157,100 dwt each, with Japan Marine United (JMU). KYKLADES MARITIME CORPORATION, 14 years after the delivery of M/T Thera have returned to Japan with their close friends. M/T Thera, a 150,000 dwt Suezmax, sister ships with M/T Sifnos (1999) and M/T Sikinos (2000), was built in NKK Japan in 2001. Nippon Kokan (NKK) is one of the yards that now forms J.M.U. NISSOS SCHINOUSSA was delivered to her owners, Ios Maritime Corp. on Sept. 23, 2015. She was built in Hyundai Heavy industries Co. Ltd, in South Korea and is the last coated Aframax tanker (LR2) of a four sister ship project. She flies the Greek flag and is fully manned with Greek officers. The Wärtsilä X72 and the Wärtsilä X62 two-stroke engines have recently successfully passed important tests that verify various performance criteria. The Type Approval Test (TAT) for the Wärtsilä X72 took place at the premises of Wärtsilä’s licensee, Doosan Engine Co. Ltd, in Changwon, South Korea. This was followed by a successful Sea Trial carried out by Dalian Shipbuilding Industry Corporation (DSIC). Kyklades Maritime has 6 vessels using the 3GB plan with Infinity on their vessels. They use two FBB antennas, one FBB 500 for business use, and one FBB 250 for crew use, with usage of the 3GB plan split over the two terminals. Business email and applications are done using Rydex software, which allows them to email, and synchronise folders with NS5, the PMS systems.